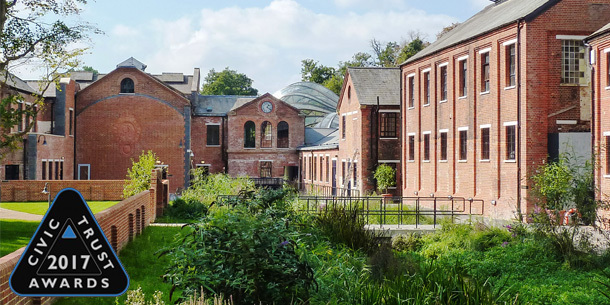 The Bombay Sapphire Distillery and Visitor Centre has been announced as a 2017 Civic Trust National Award winner. The scheme is one of as one of only 45 National/International Winners (from 247 applications) in this years Awards scheme, which date back to 1959. The award will be presented at the Annual Civic Trust Awards Ceremony at the Guildhall, Winchester on 10th March 2017.